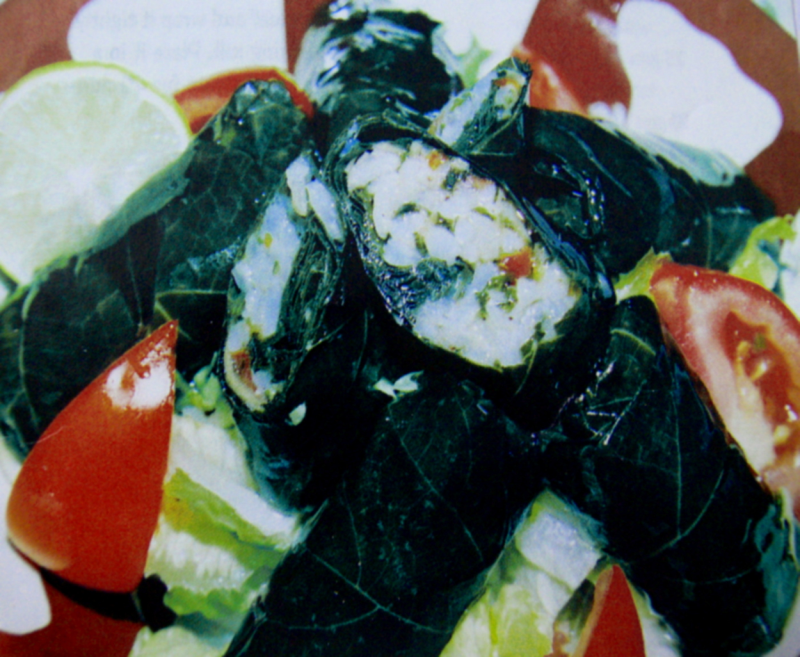 Parboiled rice stuffed in Spinach leaves and cooked for 5 mins in microwave oven. Try this tasty preparation at home. Heat olive oil,saute chopped onions,tomatoes,parsely and mint leaves. Add the parboiled basmati rice and mix well. Add salt,pepper powder,cumin seeds and lemon juice, mix well.Turn off the flame.leave this for 15 mins to cool. clean the spinach leaves and place 1 tbsp rice in each leaf and wrap tightly like a spring roll. Place this spinach leaves on microwave plate and microwave on medium for 6 mins. Serve this with tomato slices and lemon wedges.